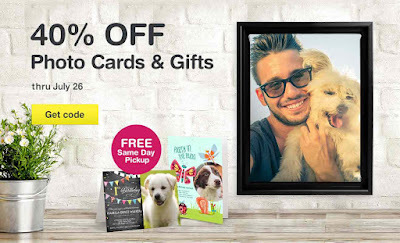 Through Wednesday, July 26th, save 40% Off Photo Cards and Gifts at Walgreens when you use code DECOR40 at checkout. Need Photo Prints? You can get 4x6 prints for just $0.12 each until July 29th with code DOGDAYS. Choose in-store pick up to avoid shipping costs.